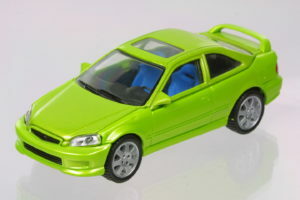 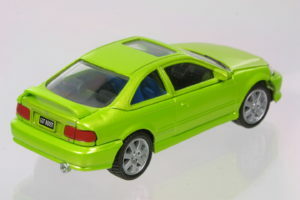 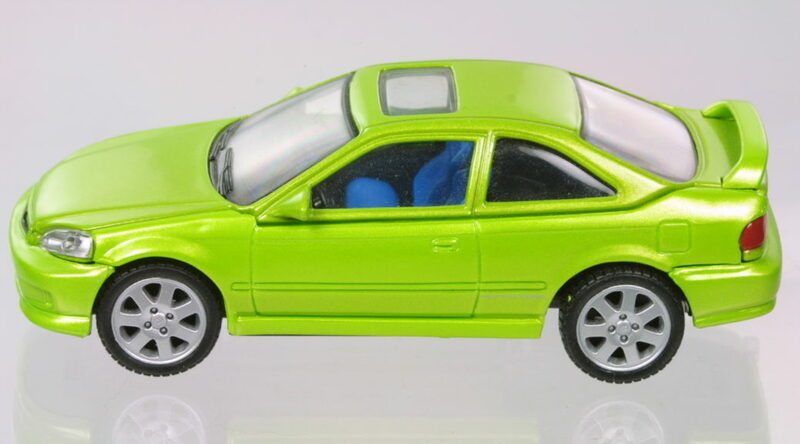 Maisto’s 1:40 Civic Coupe came in a blistered card in a modifier form. 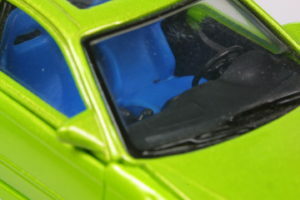 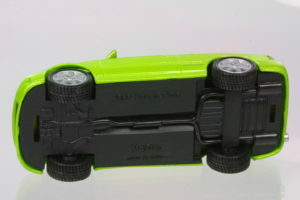 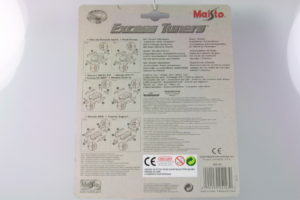 Aftermarket sides, front and rear bumpers and a rear wing are included in the kit. 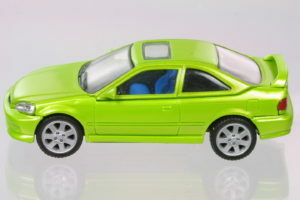 This model was unusually rare compared to the NSX and RSX versions. 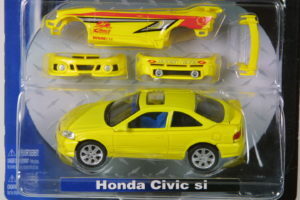 A metallic yellow version from Europe. 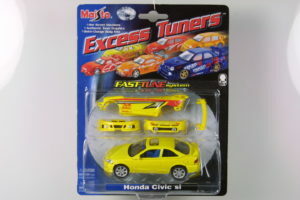 A yellow version still in original carded blister.